When you first arrive at the Complutense University of Madrid, it may seem like an overwhelming campus. A campus that has been very important in the 20th century in Madrid, stretches from the Faro de Moncloa almost all the way to Puerta del Hierro. 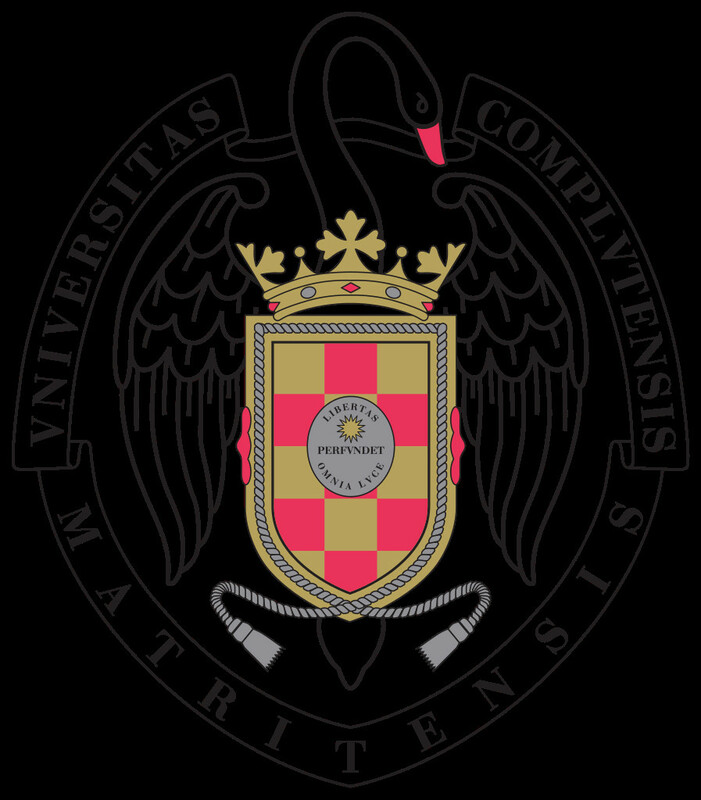 But the current Complutense doesn't stretch that far, since the Somosaguas campus is also there now, near the Pozuelo de Alarcón, which is where the Social Science faculties are. A bit further, the old, historic faculty building, in Malasaña, is still there in the centre of the city. University life is found on the edge of town nowadays. 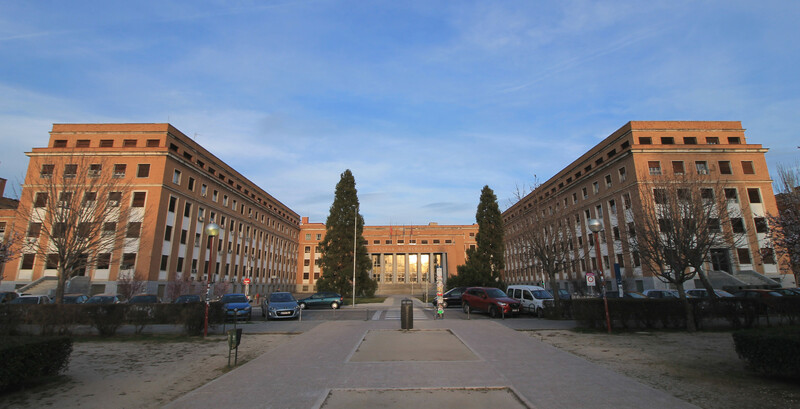 The majority of the faculties for almost all of the degrees you can take at the Complutense University are on this campus. The nervous centre of the campus is in the middle of the Avenida Complutense, just where the Ciudad Universitaria metro stop is (Line 6), that's where the Health Sciences Faculties all get together, they are Pharmacy, Medicine, Nursing and Dentistry. It's there you find the vice chancellor's building, referred to as the “Casa del Estudiante”. A lot of administration related with enrolment happens there, such as paying enrolment fees and managing any problems with class credits. This picture shows the "fantastic" state of the campus. But we're getting ahead of ourselves, since the Moncloa campus itself starts a lot lower down, next to its own metro station Moncloa (Line 6). The campus starts from the arco de triunfo (which they're planning to reform due to its Franco era significance). The first thing you come across is the America museum, at the foot of the faro de Moncloa, a museum exclusively dedicated to the history of America that was discovered by Europeans during the colonial period. Just on the other side of the street is the rector's building, which is the universities main administrative building. While you go through this way, you'll find a lot of faculties that don't belong to the UCM, but that belong to the Polytechnic University of Madrid, since the Moncloa campus also has some buildings belonging to Higher Technical Engineering courses, such as naval, agricultural and aeronautical engineering, architecture, telecommunications and transport among many others. Via the calle Juan de Herrera, you can get to the southern area on the Moncloa campus, which is where the Paraninfo Sur sports centre is, it has the main rugby field in Madrid, where the Spanish team plays, and other outdoor sports pitches, which are available for students to use. The UCM swimming pool is here, too, it's open in the summer months and it has very good student discounts. As for the UCM faculties, the fine arts faculty is here, which is the southernmost of all of the university's faculties. it's surrounded by the engineering faculties, such as the architecture or construction faculties, as well as the International physical education faculty. Personally, I think that here, at the fine art faculty, is where the nicest cafeteria on campus is, since it has a terrace that has some pretty nice views over Madrid. Plus it's a faculty dedicated to making art, so extravagance is the order of the day there. From there, you go past the central area of campus again, to the Journalism faculty, which you might recognise from one of the most famous Spanish films ever: Tesis. It's just next to the Cantarranas rugby fields, where a lot of university rugby teams train. I can say that the quality of these fields is not very good (something that students complain about a lot), since I've got to train there a few times. Besides, the Madrid festival DCODE is celebrated there every year in September. The next area of campus is the Paraninfo Norte, a huge complex where all of the main sports pitches for students on campus are. A rugby field, a football field and pitches for outdoor sports here are available to students (although you do have to pre-book them each month). All of the "pure" science faculties, such as physics, mathematics, chemistry and biology, are congregated to the right of Paraninfo Norte. The humanities faculties, such as philosophy, law and history, are to its left. This last faculty also brings together other related careers, such as music, archaeology, geography and art history, which share the same buildings, and are one of the largest buildings on the entire campus. The road, canal and bridge engineering faculty, which is practically "isolated", is just next to the history and philosophy faculties, I think it has the cafeteria with food that has the best quality to price relationship on campus. Besides, the waiters there are just lovely. Found on the outskirts of Madrid, it's the most modern area in the whole Complutense University. Like I said before, all of the social science faculties are on this campus, for courses such as sociology, politics, psychology or economics. Because it's so far away from the city centre, it can seem like a much less populous area and that it has less going on than the Moncloa campus does, which is true from what I've experienced living in this part of the university. Because it's a more modern area, it's where they built the only indoor sports centre in the whole Complutense University, and it's reserved for university sports competitions. 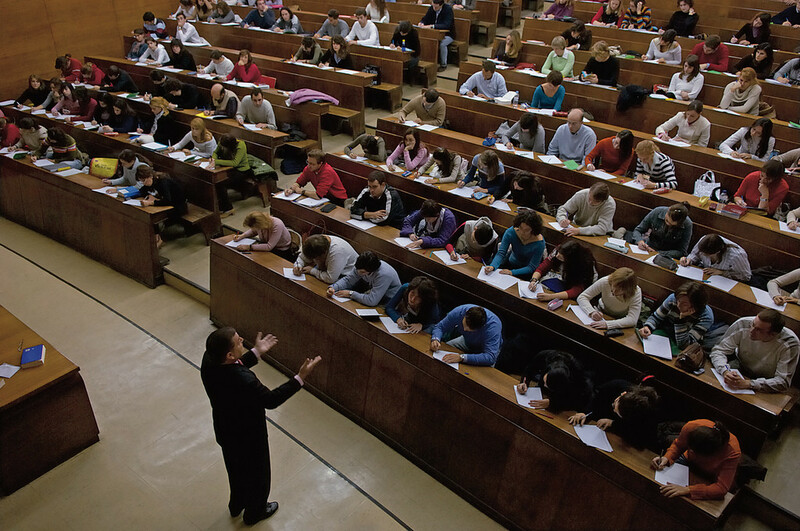 The political science faculty here stands out, it's a very popular, trendy faculty thanks to recent events taking place in Spanish politics, since it was the birth place of the well known political party: Podemos. Its interior is full of activist graffiti, and the rules prohibiting smoking in public places is much less well enforced here. The Complutense University's library isn't located in one specific building. In the first half of the 20th century they put the idea to create a big library that would serve all of the faculties forward, it would have been where the Paraninfo Norte, but the Spanish Civil war made that the plan was forgotten. Instead, nowadays, every faculty has its own library where they archive their own available materials for the study of their different disciplines. One of the largest is the library in the history faculty building, which has four floors and an underground archive. Just next to it is the only library that has a great number of different areas of knowledge and that is multidisciplinary: the María Zambrano library. It's pretty much new and it has as a lot of modern facilities. It's definitely the best library on either of the Complutense University campuses. Located next to the Caminos cafeteria, the one which I said was the best on campus, it's where almost all of the students choose to study during exam times. The downside is that it gets pretty much impossible to find a place to sit at those times of year, despite it having a lot of room. The residences directly associated with the UCM are located around the Moncloa campus. Some of them are in the area to the south, just next to the Paraninfo sur sports area, all around the Avenida Séneca. 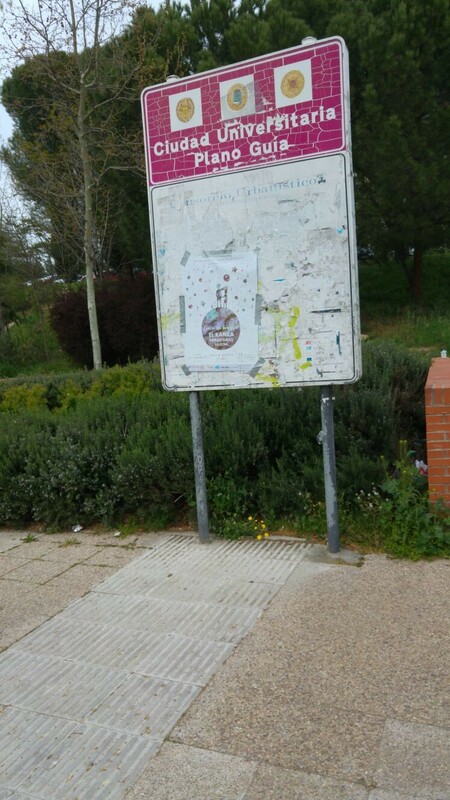 The others are in the area to the north of the campus, on the Calle Ramiro de Maeztu. 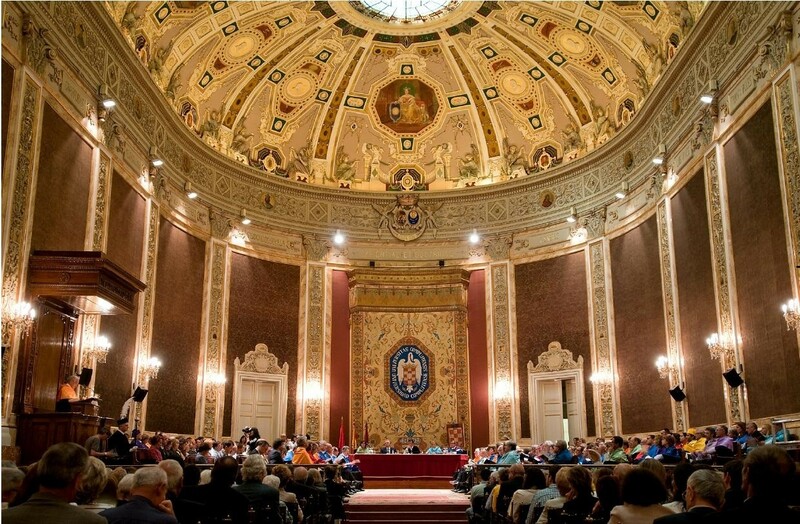 If you want to get a place in any of them, you need to get in contact with the Complutense University directly. The Complutense University, on the Moncloa and Somosaguas campuses, have a series of transport lines just for students to get around within campus. There arre 5 of these lines. Three of them are just for the Moncloa campus, the G, F and U lines. The G line runs from the Moncloa to the Philosophy B building or to the history faculty, going on the Avenida Complutense and round the whole of the Paraninfo Norte. The F line goes from Cuatro Caminos (an area with a lot of students) to Philosophy B, going by the halls of residence on the calle Ramiro de Maeztu and going around the Paraninfo Norte. The U line goes from the Paraninfo Sur to the Paraninfo Norte, going by the halls of residence on the Avenida Séneca and the Avenida Complutense. The other two lines are the ones that connect the Somosaguas campus with the rest of the city, to put it one way. The first one is the A line, which goes from the Moncloa to the Somosaguas campus. The other is the H line, which circulates from Aluche to the Somosaguas campus, to the same place as the A line. Madrid is undoubtedly a very big city that has a lot of little cities around it. Sometimes you might think that it's difficult to get to them. Not everyone can actually use the G, F, U, H or A lines, the majority of students have to use other metro combinations to get to the University City station or they even have to use the commuter train lines. That was what I had to do, I took me almost 3 hours to get to the Moncloa campus everyday. But, at the end of the day, it's worth all of the hours of public transport to get there. If you want to know more about the UCM and the other universities in Madrid, you can go to our post about the best universities in Madrid.